“I sure wish one of us could stay here,” said Lil as she nervously looked at the small jail cell holding Barrel. Lil made sure the cage door was secure while Nim talked to Glitter. “I promise we’ll be right back,” said Nim. 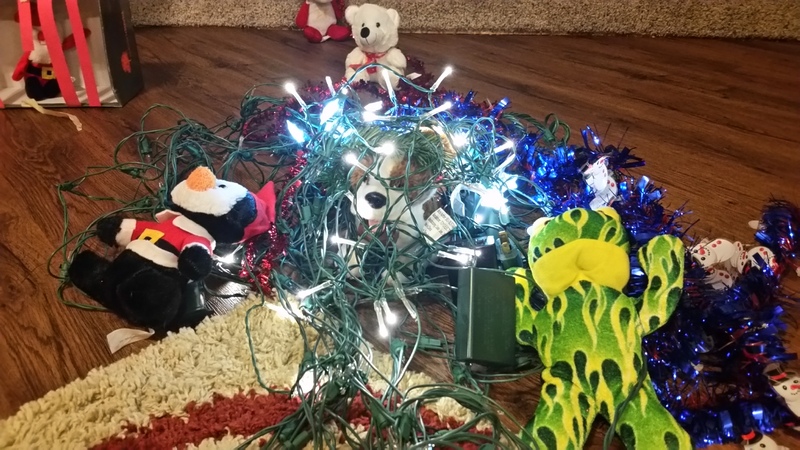 “We need you to stay and start stringing the lights around the tree,” said Lil quickly. Glitter did not know it, but Lil and Nim had decided not to tell Santa about the little kerfuffle of the night before. They knew it would reflect poorly on them to have had such a terrible start to the season. Not to mention, it would put their Top Shelf Elf trophy at risk. “Don’t you think there are enough lights?” asked Glitter, desperately searching for a reason she could tag along. Nim and Lil looked at the tree. Each branch dripped with colored, blinking and flashing lights. “No, we definitely need to put more lights on the tree,” said Nim. Glitter shuddered. Lil gave Nim a dirty look. “Why did you have to say that? !” she whispered. 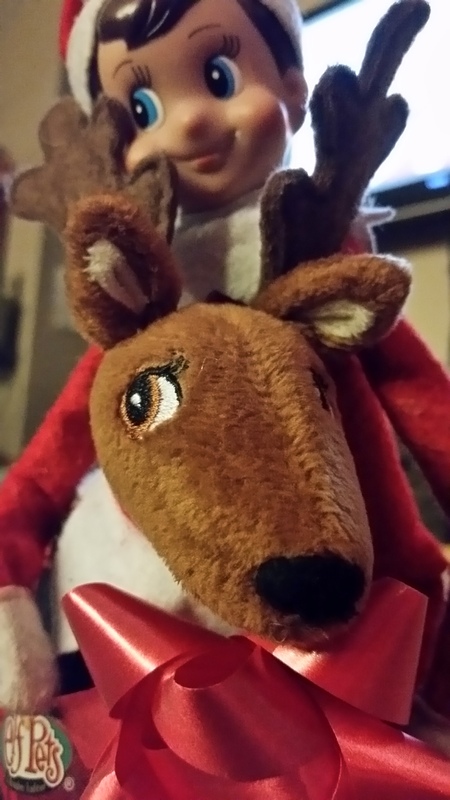 Nim and Lil flew to the window and with one backward glance, soared toward the North Pole. Just an hour later, the two elves zipped back through the window. “Whew,” said Lil. “Just look at all these lights! Glitter sure did a—-“. A mass of blinking white lights rolled around the living room in a tangle with Barrel at the center. 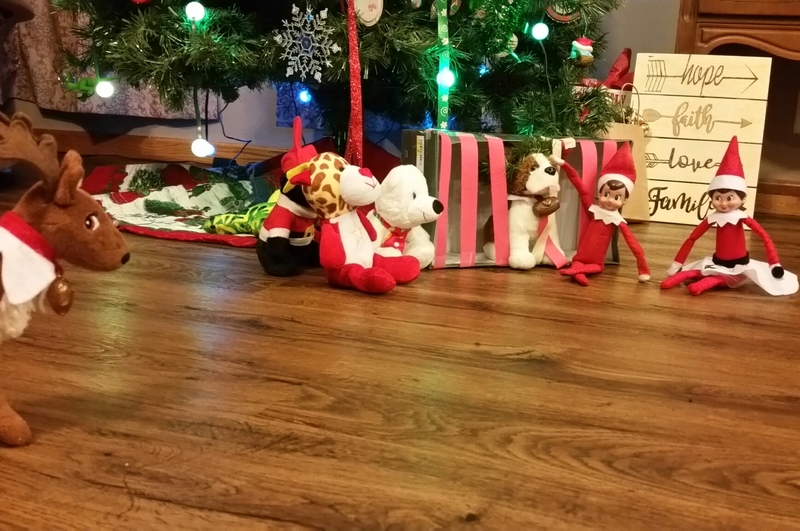 “How in the North Pole did Barrel get out of his cage?” Lil asked. Nim looked at the shoebox that served as Barrel’s temporary prison. The makeshift door was wide open. It looked as though someone opened it. A soft “honk” came from the fireplace. Both elves turned to Glitter. Nim and Lil shook their heads. There was no choice left to them. “We have to take him in, don’t we?” asked Lil. “I’m afraid so,” said Nim. Each elf took a leg and they hoisted Barrel up to the window sill. “Glitter, can you finish up here? 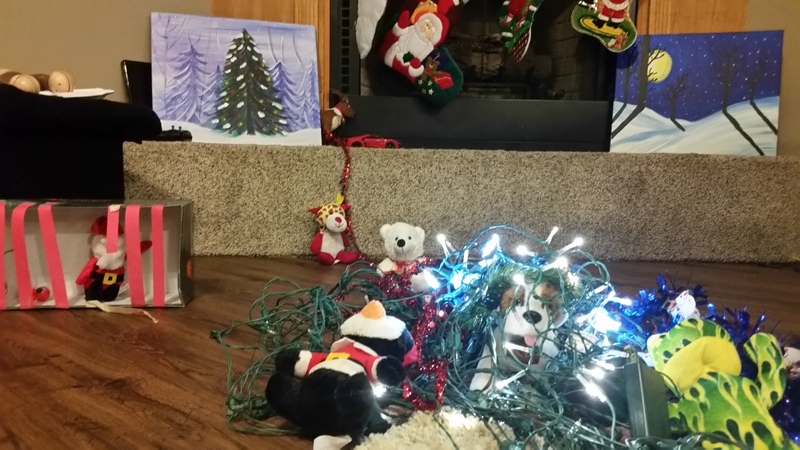 Pick up the lights and finish decorating?” asked Lil. “Yes, we may not have enough time to help when we get back,” said Nim. “Where are you taking him?” Glitter asked as she cautiously stepped out from behind the painting. “To Santa,” said Nim sadly. “He needs more training,” said Lil. By the time Nim and Lil got back, Glitter was fast asleep, curled up next to the painting. “I guess we’ll have to use our emergency activity pack tonight,” said Lil as she watched the sun start to rise. 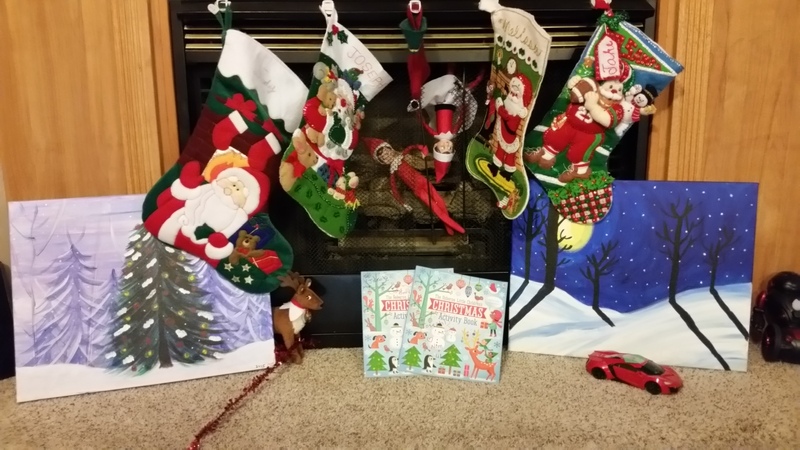 Nim reached into his pocket and pulled two brand new Christmas activity books out and set them on the fireplace where the boys would easily see them. “What about Glitter?” asked Lil nodding her head at the sleeping reindeer. “Do you think she’ll be recovered by tonight?” asked Lil with a slight frown. Glitter snorted and softly honked her sleep.